These kids' waterproof winter pants are made of very durable, windproof and breathable material. The water and dirt repellent finishing makes these pants easy to care. All the seams of these pants have been taped waterproof. The removable and adjustable suspenders make sure that the pants stay well in place while the adjustable waist ensures a good, unique fit. 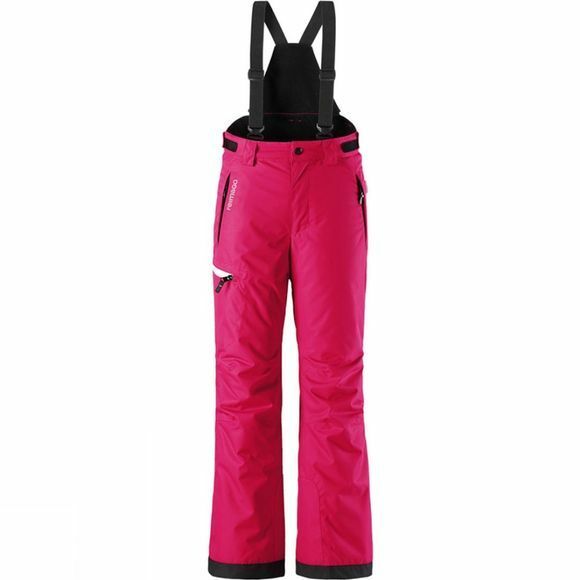 The pants has a smooth polyester lining and zip flye that eases dressing up and feels comfortable with warm mid-layers. The leg ends come with durable reinforcements and snow locks. Tiny items can be stored in the cargo pocket on the other leg and ReimaGO® sensor in small hidden pocket. Girlish straight cut and slightly more fitted compared to the unisex styles. 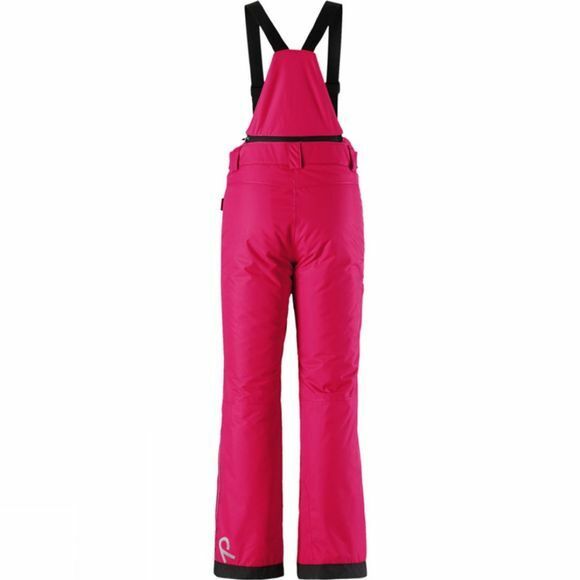 Splendid choice for active outdoor adventurers who love to spend days on the slopes. ReimaGO combines the activity sensor, a free mobile app, weatherproof outdoor clothing and kid's movement.